Treue um Treue is, I believe, a now somewhat dated idiomatic term long since unused, if I am correct. German is not my first language and many older generation Germans I have asked did not seem to be able to offer a convincing translation, perhaps because in may have been a specialized term they were unfamiliar with in their youth - I'm sure their parents would have known though. I did not want to give my suggestion regarding the translation until I heard from a native German speaker who had specific knowledge, so am pleased with your answer because it makes sense given what I thought it would/should be. I have long thought the following longer version below to be near correct, but think your offering, albeit shorter, certainly has the same 'feel' and would probably be used more commonly than the longer version. Treue um Treue = "Loyalty of the Reich for the people and Loyalty of the people to the Reich". Treue um Treue = "Loyalty for the Loyalty' or 'Faithfulness for Faithfulness". With "Treue um Treue" is meant "gegenseitige Treue" = mutual faithfulness/loyalty. A short version is here definitely better than a longer construct. Thank you for the clarification - your interpretation is exactly what I was hoping for! 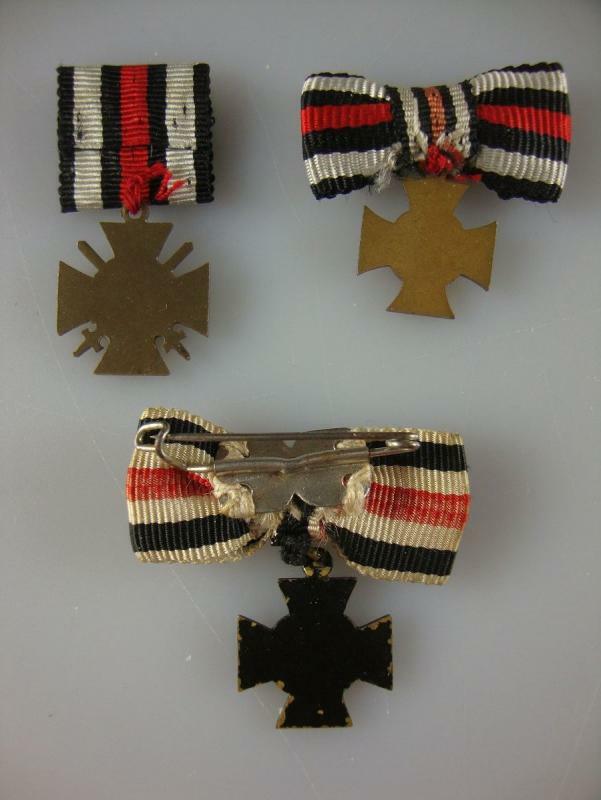 Now that I have someone who meets my 'qualifications', (you) - can I ask you if you know of any published article describing the Ehrenkreuz in detail - say in one of the militaria magazines in German or English? (I can struggle along in German - my family came from the Rheinland - but a long time ago). I have an keen interest in this humble award, especially in learning more about the initial idea or formation of this award and how and when the idea of it came about. A 'Timeline' would be nice. 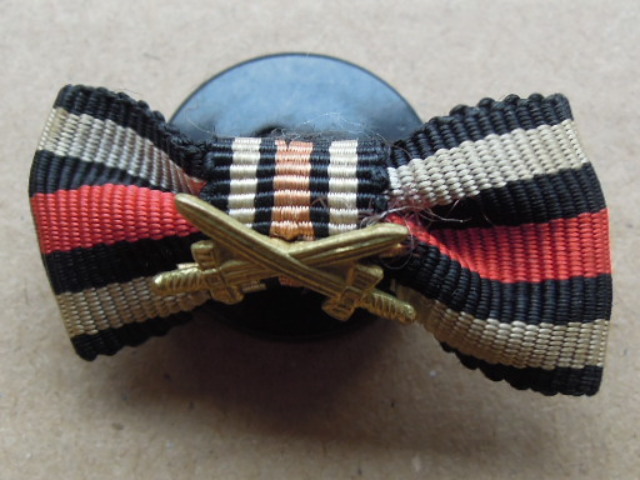 Orden-Militaria-Magazin, Nr. 44 Oktober 1991, page 17. With pictures of some cases. Just wonder if anyone has a really early document to show ? 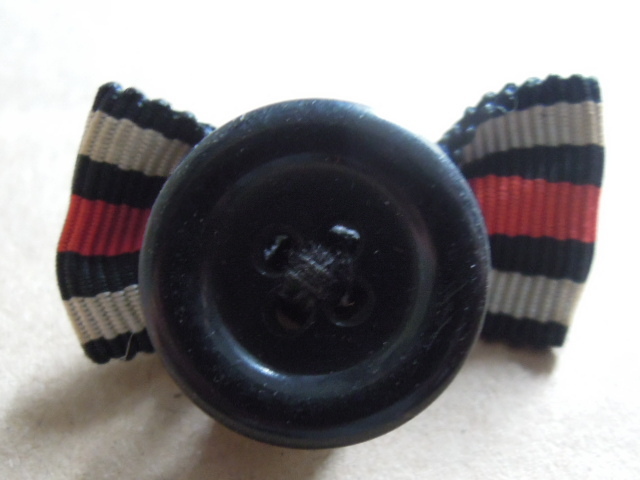 When I started this thread all those years ago, I tried to collect one of every maker in all three grades. 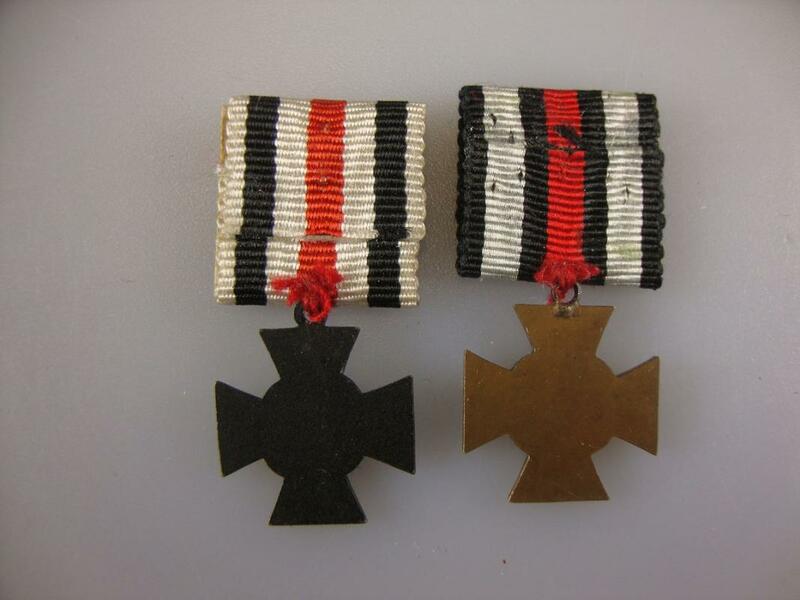 I hit over 200 then changed my mind I now am only keeping my Ehrenkreuz fü Hinterbliebene (surviving dependents) crosses, some miniatures and parade mounted Frontkämpfers and Kriegsteilnemhers. 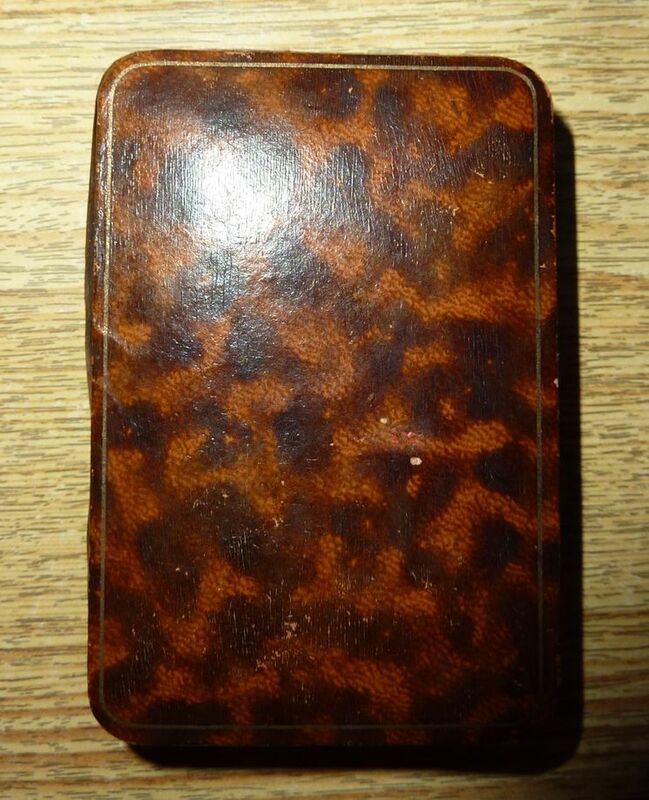 I am also searching for cased examples, and I am very jealous of your latest! I am uncertain if you are still looking for photos of makers marks, if you are, let me know and I'll see if I have anything that can help your site records. Here is another of my Feldspange Frontkämpfer, I really like the tiny, although unofficial, combatants cross on the front. Now I am reworking the page , and most of the pictures I have possibility to take again , but all help with pics is appreciated. There seems to be makes mark that you never see at all in real life ! Ok! Where would you like them sent to? 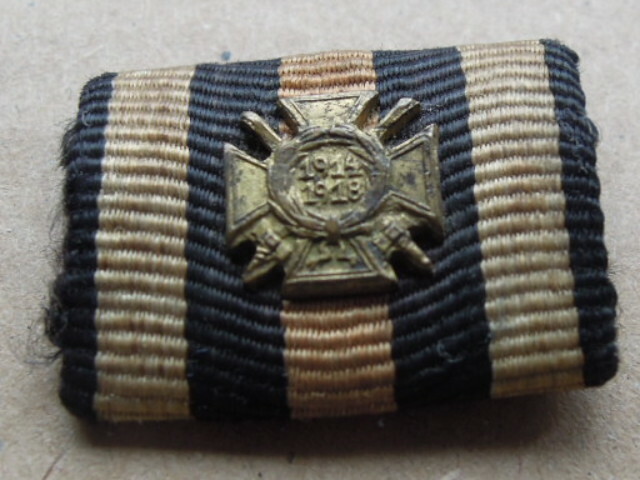 I have never seen a cased Honor Cross before!! Well done! 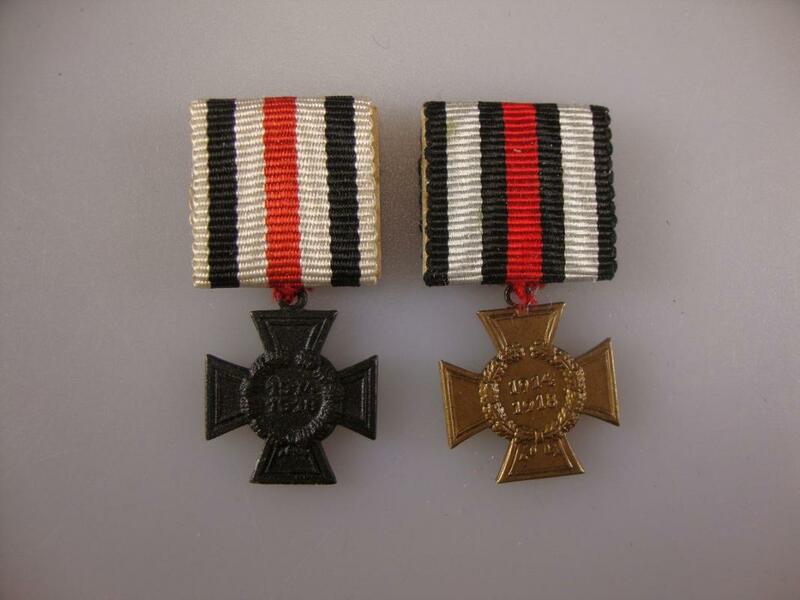 This is another example of German cross of honour. concentrate only on collecting them between groups. 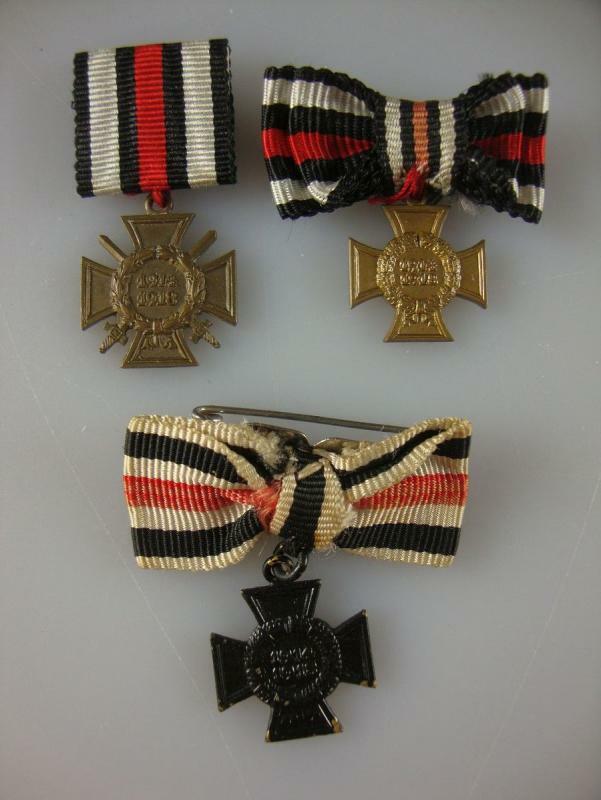 This type of system and really quite unusual in groups of medals. Certainly Lambert, here it is. 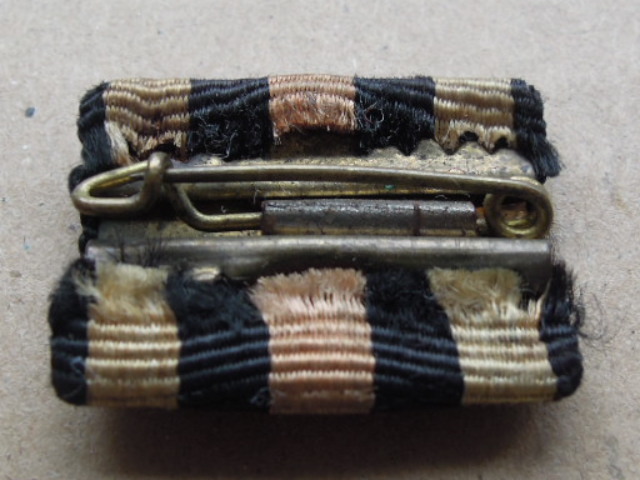 This ribbon bar belonged to a Luftwaffe Oberst. The wrong order? I did not know! Yes, is Friedrich August Medal.